Apologetics Press - Could the Ark Stay Afloat? 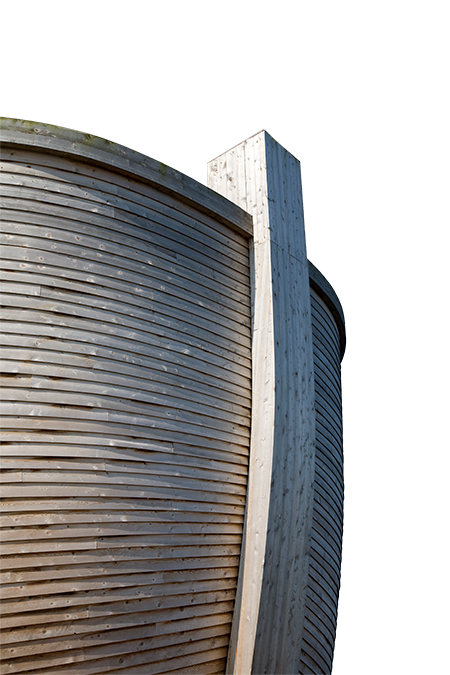 In a debate with a creationist, evolutionist Bill Nye (the “Science Guy”) argued that a wooden boat as largeas the Ark would sink—and especially a large, wooden ship built by an amateur like Noah. So, he said, the story of Noah and the Ark cannot be true. As proof for his claim, he talked about a large wooden ship that was built by professionals in the early 1900s—the Wyoming. The Wyoming was not even as large as the Ark, and yet the length of the wooden planks from which it was made twisted and bent so much while on the ocean that it finally sank. Does the sinking of the Wyoming disprove Noah’s Ark? Was Noah too much of an amateur to even make such a vessel? First we have to keep in mind that there were about 1,650 years between Creation and the Flood. It is very possible that boats were already being built before the time of Noah, and therefore, that Noah was not an amateur. Since people in the pre-Flood world lived longer than we do today (Genesis 5), their wooden boat-making abilities could have been amazing. Even if Noah was not much of a boat builder, there is every reason to believe he could have hired help. Also, when we consider the fact that Noah was 600 years old when the Flood came, it is easy to imagine that he could have learned how to build boats better than anyone today, even if he only started learning when he was 500. That said, it is also likely that God gave Noah more specific directions than Moses recorded, telling Noah exactly how He wanted the Ark built. Noah did not have to be an amazing engineer. He just had to be able to follow God’s instructions. Second, even if Noah was an amazing ship builder, does the Wyoming prove that the Ark would have sunk? First, the Wyoming and the Ark are not a good comparison from an engineering standpoint. 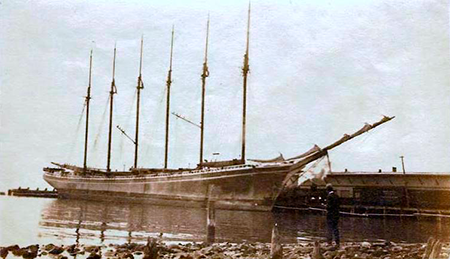 While the Wyoming was certainly large, it also had six masts and several sails. Like wind yanking your arm when you are holding an umbrella in a storm, wind can create a lot of force on a ship when it hits large sails, causing the ship’s wooden boards to twist and bend, eventually causing leaks and board buckling. The Ark, however, would not have had sails to worry about, since it did not have anywhere it needed to go! It just needed to float. • We know from archaeological discoveries that ancient man, in the years immediately following the Flood, was able to create large, wooden ships that could resist twisting and buckling by creating special joints that allow boards to resist such movement, called mortise and tenon joints. • We do not know the exact identity of “gopher wood” (the wood Noah used to build the Ark). Several known species of trees are mentioned by Moses in Scripture, but nobody knows what gopher wood was. It could have been a strong tree that existed in the pre-Flood world that is now extinct, but which was perfect for use in building the Ark. • In spite of the fact that the Wyoming sank, it stayed afloat for 15 years before doing so. The Ark only needed to stay afloat for about one year. Bill Nye’s claims are incorrect. The Ark was seaworthy! Interestingly, recently designed super jumbo barges have a length to width ratio (290 to 50) very similar to that of the Ark (300 to 50). Apparently Someone knew what He was doing when designing the Ark. There is no reason to doubt that the Flood happened. Sadly, almost everybody in Noah’s day had Bill Nye’s skeptical attitude about the Flood. You can only imagine what they were thinking the moment they saw the Flood waters coming and realized Noah was right. But it was too late for them to repent.